Long-time Driftwood supporters may recall that although 2015 marks the first time Driftwood is producing Shakespeare’s most celebrated play as part of the Bard’s Bus Tour, it isn’t the first time we’ve delved into the world of Denmark. Back in 2002, before the days of our annual Trafalgar 24 festival, I was fortunate enough to get a tour of the beautiful Trafalgar Castle School in Whitby, and immediately began planning an event to take place in and around the 19th century castle standing on its grounds. That project became our first fundraising event at the castle—Trafalgar Hamlet, featuring (now award-winning director of Stratford, Soulpepper, Tarragon and theatres across Canada) Alan Dilworth in the pivotal title role. It was unique not only for using the castle and grounds to create a site-specific theatre experience, but because the audience was also divided into five groups, each following a different set of characters. The entire play was then presented simultaneously. Audience members were only privy to the scenes featuring their characters. They traveled in, around and outside of the castle on what I recall were two suitably cool and wintry nights in March of 2003. Guests were invited to dine on a fine meal during intermission, and the dining hall became the setting for the famous ‘mousetrap’ scene of Act 3, Scene 3—where a troupe of players perform the play which convinces Hamlet of Claudius’ role in his father’s murder. Further adding to the drama of Trafalgar Hamlet was a massive power-outage affecting half of the town of Whitby, where the castle is located, on the evening of our first performance. From the time audience began arriving until about 30 minutes after the performance was set to begin, the castle interiors were pitch black. Safety regulations forbade us from conducting the event in the dark, and so audience members were confined to dining lounge by candlelight at a pre-show wine reception until the power came back on. I’ll never forget it—I was on my way to the dining hall to announce that we’d be cancelling the evening’s performance when the power suddenly came back on. The entire cast breathed a sigh of relief and we quickly got things underway. 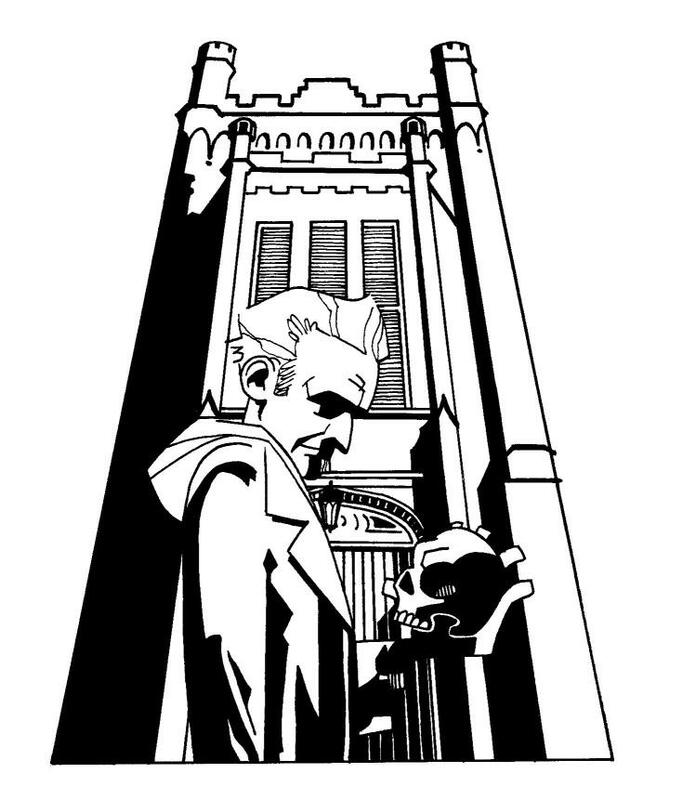 The ghost appeared down by the front gate, Hamlet delivered his famous soliloquy on the main hall staircase, Claudius knelt to pray in the chapel, and Ophelia drowned in the indoor swimming pool. I have always loved this incredible play and look forward to the challenges of directing it for the outdoor summer stage, but I will never forget that first Driftwood Hamlet experience. Driftwood isn’t an institution. We don’t have a physical building to call home, we don’t keep a warehouse full of sets and props and costumes (more like a locker), even our producing staff work “in the cloud” collaborating through the internet from offices across the province. In a way, Driftwood is as ephemeral as theatre itself; the legacy we are building is not tangible, but it is a legacy nonetheless. In the absence of any physical structure to leave behind, I decided a long time ago that Driftwood’s legacy would be about fostering a strong future of theatre in Canada, nurturing the creative energy of the next generation of actors, artists and technicians. These are our Creative Roots. Over the last twenty years, we’ve offered emerging actors their first professional gig, provided paid apprenticeships to early career directors, designers and technicians, and two years ago, we launched our Creative Roots Theatre Training Program for Young Actors. As we’re currently accepting applications from teens who would like to participate in this two-week summer theatre intensive, I thought it would be an apt time to reflect on the origin and philosophy of the program. When we made the decision to include young actor training as part of our outreach activities, I knew exactly who I would approach to develop the program: Peter van Gestel. Peter is a long-time friend. We bonded during my third year at Queen’s University (about 20 years ago) when, as fate would have it, I ended up both designing scenery and playing Horatio to Peter’s Hamlet in a local theatre company’s production that great play. From that time on Peter has been one of my best and most trusted friends. 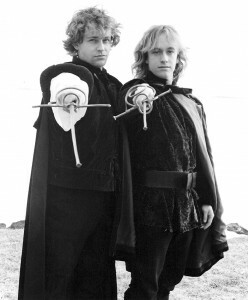 Peter van Gestel and Jeremy Smith in ‘Hamlet’, 1995 (yes, the hair was flowing). No, being my friend doesn’t exactly make Peter qualified to develop and lead a training program for young actors. But his extraordinary credentials most certainly do. Peter has trained at some of the best institutions in the country (Queen’s University, B.A., M.Ed. ; the National Theatre School of Canada; Stratford Birmingham Conservatory for Classical Theatre), has worked for some of its finest theatres (Stratford, Mirvish, Factory, Grand Theatre), and has been teaching performance in Canada for many years. For Peter, as for me, the value of Shakespeare doesn’t lie in his language, but in his ability to reflect upon us the rhythms and secrets of our own hearts. Shakespeare helps us to understand who we are and what our place in the world might be. And if we can teach that, well then getting through any perceived ‘language’ barrier is a relatively simple process. In addition to exploring classical theatre, our Creative Roots participants learn from our performers and creators to stretch their theatrical limits. It is a rigorous, full and intensive program. And it is also richly rewarding. 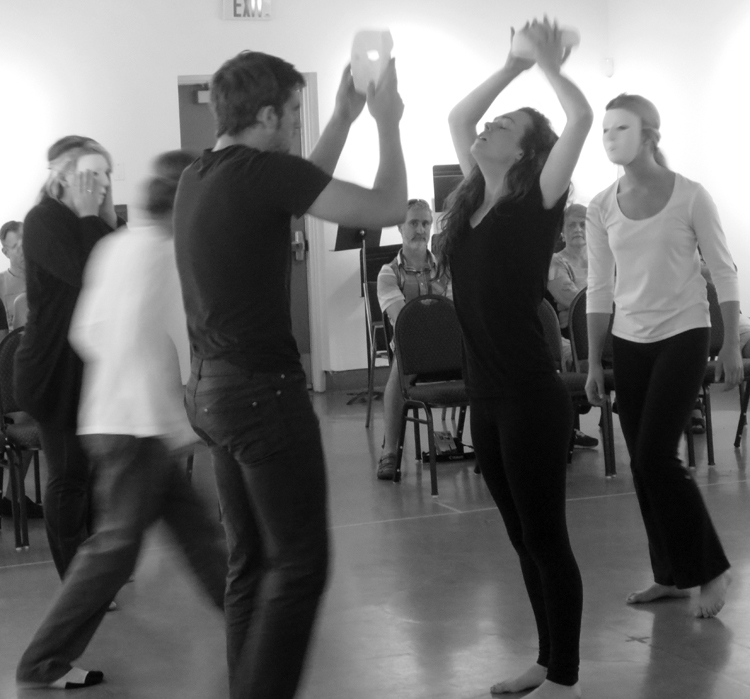 Creative Roots participants during their final performance, 2013. A day in the life of Creative Roots could include hands-on theatre workshops exploring sound, movement and text, observing a Driftwood rehearsal or performance, attending other professional shows happening around town or preparing their final performance to be shown to friends and family. 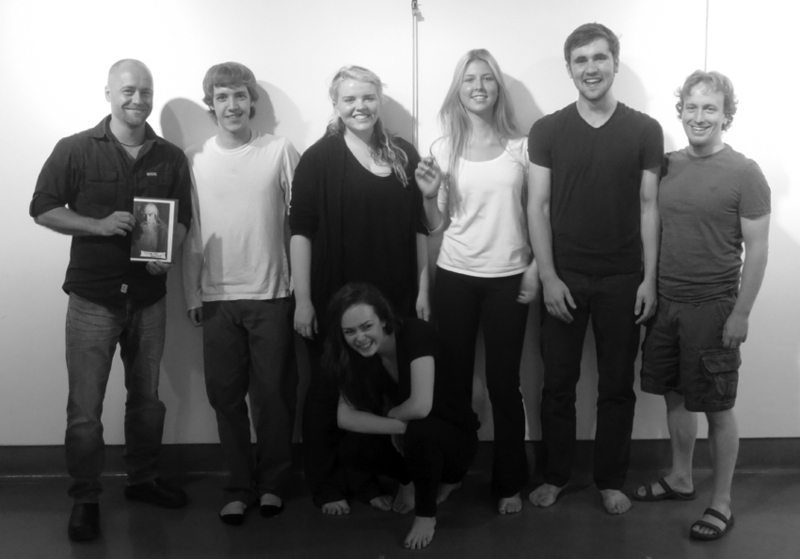 The most incredible part about the whole thing is that thanks to the generosity of our partner TD Bank Group the Creative Roots Theatre Training Intensive is offered at no charge to the participants. So if you are, or if you know a young person with career aspirations in acting, check out the application information on our website. We’re accepting applications until May 15th and we’d love to hear from you!